eBox-3350MX-AP - MiniDis - Europe's best mini PC source! DMP ebox 3350DX3 - The smallest full Windows PC that exists. Only 3Watt power. 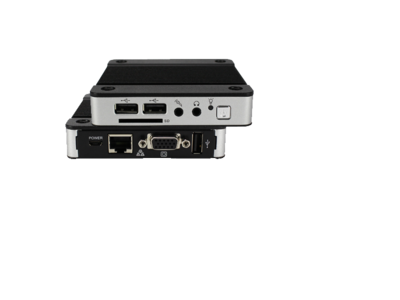 eBox-3350DX3 - 1Ghz, 1GB RAM, SD/SDHC slot, 1xLAN, VGA, 3xUSB, 7.5cm vesa mount connector. 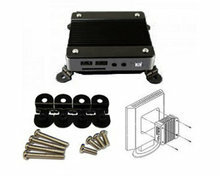 This unit comes standard including 5V mini USB / Euro 10Watt power supply, but excluding disk and operating system. The perfect unit for small embedded applications. Suitable for Linux, Windows CE, Windows XP Professional, Windows Embedded Standard 2009, Windows 7 embedded.